• Jake Pfeil is in his 12th year as a member of the Florida State University staff, and his fifth working with the FSU football program. 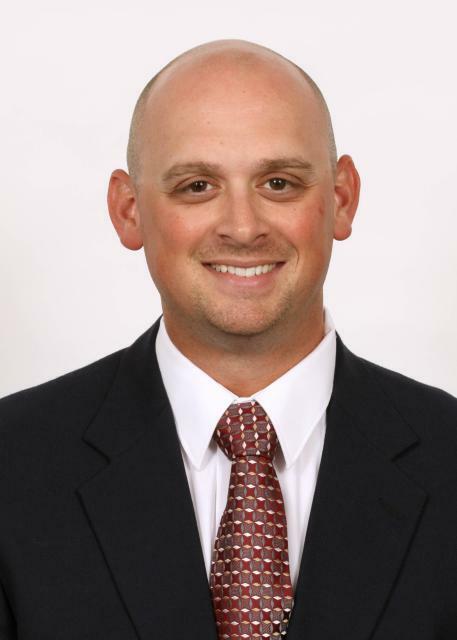 As the Senior Associate Director of Sports Medicine and head football athletic trainer, Pfeil oversees the daily medical care of the Seminole football team, including injury prevention and rehabilitation. • Pfeil and his sports medicine staff were essential to FSU’s 2013 BCS Championship season and 29-game winning streak from 2012-14 by keeping the Seminoles in exemplary health. Of the 24 players that started on offense or defense in the 2013 season-opener, 23 were available to play in the BCS National Championship victory against Auburn. Since 2012, Florida State has captured three consecutive ACC Championships and has the best record in the nation at 39-3. In 2014, the Noles finished 13-1 and competed at the first College Football Playoff Semifinal at the Rose Bowl. • Pfeil is certified by the National Athletic Trainers Association Board of Certification and is a licensed athletic trainer by the state of Florida. Pfeil is also an approved clinical instructor for the Florida State University Athletic Training Education Program. • Pfeil came to Florida State in 2004 serving as the Insurance/Risk Coordinator. He served as the athletic trainer for Seminole baseball for six seasons. During that time Pfeil was part of the baseball programs’ continued run of 38 consecutive post-season appearances, a 2010 ACC Championship, hosting four straight Super Regionals from 2008-11, and College World Series appearances in 2008 and 2010. • Prior to joining the Florida State staff, Pfeil was employed by Tallahassee Orthopedic and Sports Physical Therapy, where his responsibility was serving as the head athletic trainer at Tallahassee Community College in 2003. • Pfeil earned a master’s degree in sport administration from Mississippi State University in 2002, where he was a graduate assistant athletic trainer for the football team. He graduated from Florida State in 2000 with a bachelor’s degree in sport management with an emphasis in athletic training, while also serving as a student athletic trainer with football and baseball. • Pfeil was awarded summer internships with the NFL’s Atlanta Falcons in 1999 and 2000, and was a seasonal assistant for the Falcons in 2002. • The Madison, Fla., native and his wife Cheryl, who is also an assistant athletic trainer at Florida State, have two sons, Cole and Cade.